Nickel Plate Road No. 587 is perhaps the best remaining example of a United States Administration (USRA) light Mikado steam locomotive, an outstanding design developed during World War I rearmament. This versatile and universally successful locomotive design was utilized in both freight and passenger service on railroads throughout the United States, and its design elements ultimately served as the basis of larger, more powerful locomotives built during the final three decades of steam locomotive construction in this country. No. 587 escaped major modification during its 37 years of active service and thus represents the essential USRA light Mikado design in virtually original form. Of the 625 USRA light Mikados constructed between 1918 and 1920, it is one of only six known to exist by 1984, and, of its original group of 15, it is the sole survivor. Running under Lake Erie and Western on the Nickel Plate system (one of America’s most respected and well-remembered railroads), No. 587 was based out of Ohio during the ‘30s before later becoming based out of Frankfort, Indiana. From Frankfort, it was known to make trips to Delphos, Peoria, St. Louis, Indianapolis, and Michigan City. Prior to its 1955 donation to the City of Indianapolis, its grandest moment had been its assignment to a campaign train of then-Vice Presidential candidate Richard M. Nixon. No. 587 pulled the candidate and future President from Lafayette to Frankfort, Indiana on October 14, 1952. The locomotive was listed on the National Register in 1974, and it now resides at the Indiana Transportation Museum. 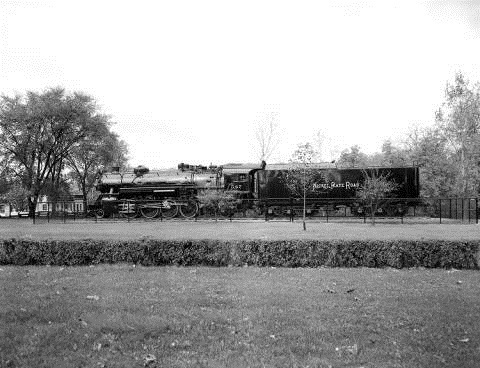 Indiana Division of Historic Preservation and Archaeology, “Nickel Plate Road Steam Locomotive No. 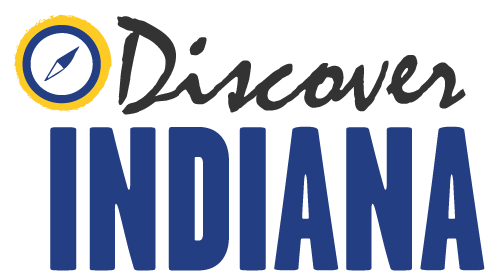 587,” Discover Indiana, accessed April 25, 2019, https://publichistory.iupui.edu/items/show/270.